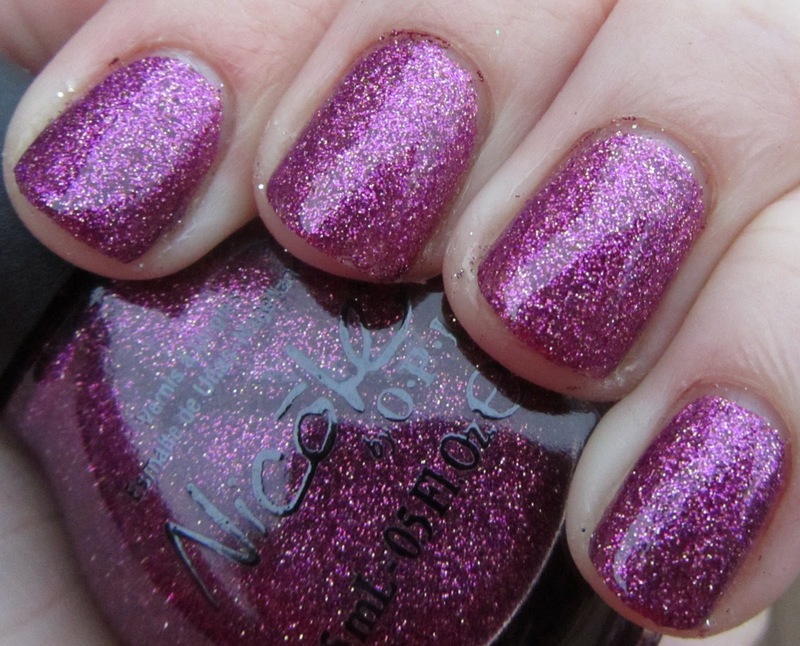 In the next couple of weeks, prepare to see several recent winter polish collection swatches. Since my nails have been so peely and ugly lately, it has taken me awhile to get to some of these collections, and I know you have all seen them by now from others, but it can never hurt to see polish on as many different types of hands as possible when trying to decide if a color is right for you! All swatches shown are 2-3 coats, no base, with top coat. 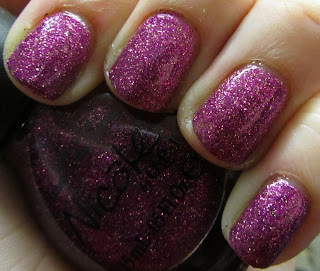 Gorgeous fuchsia and silver microglitter. This one dries fairly smooth. 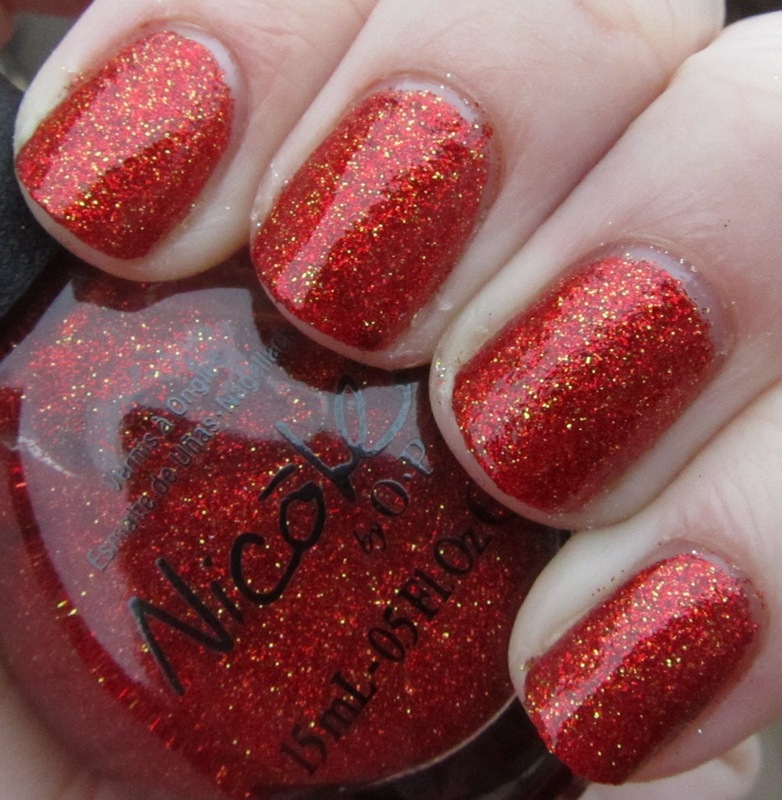 Beautiful cherry red mixed with scattered gold glitter. Similar to the one above, this one dries fairly smooth. 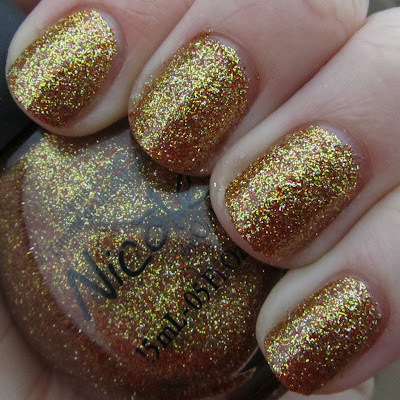 The counterpart to Orna-ment, this is a yellow-gold with scattered red glitter. It is slightly larger glitter and dries just a tad more bumpy. 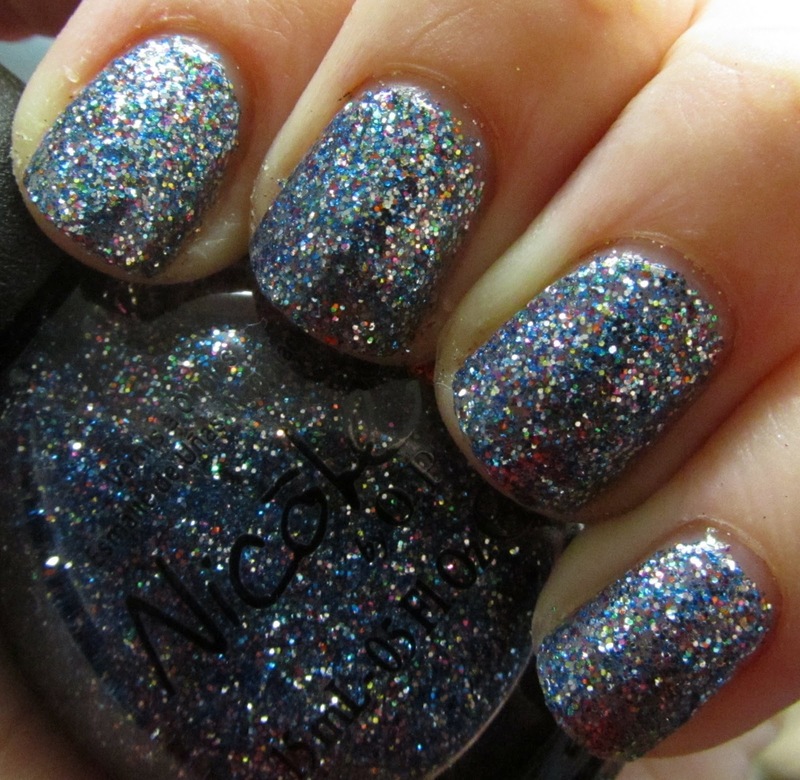 This one is a light blue with multi-colored glitter. 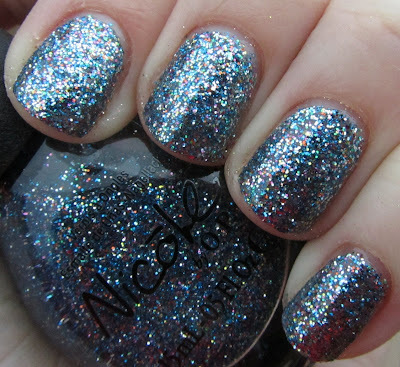 It is also a bit larger glitter and dries a bit bumpy. 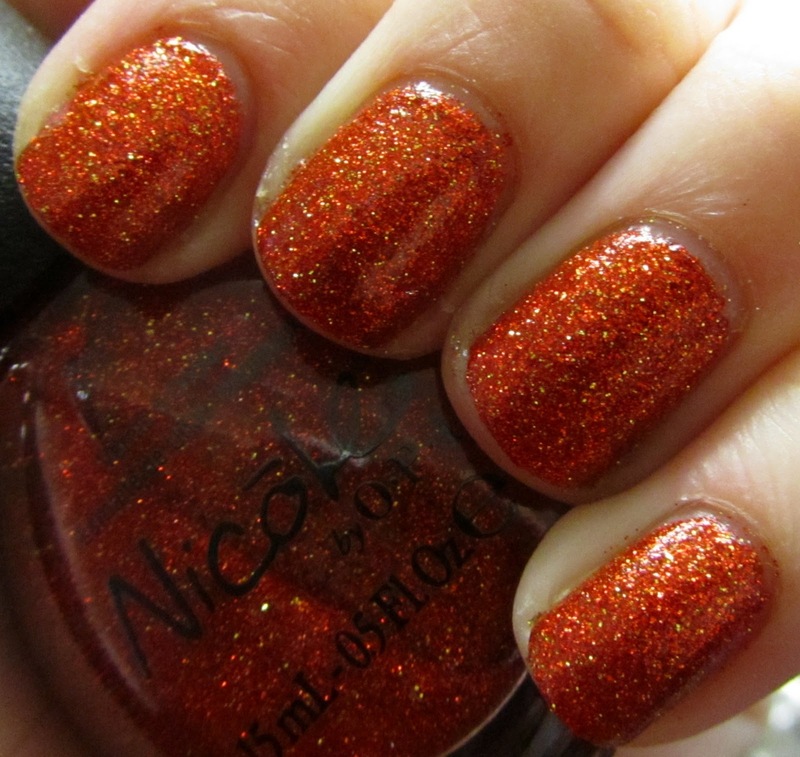 It is also a fairly close dupe for last year's OPI Simmer and Shimmer from the Burlesque collection - if you missed out on that one, I would highly recommend this! 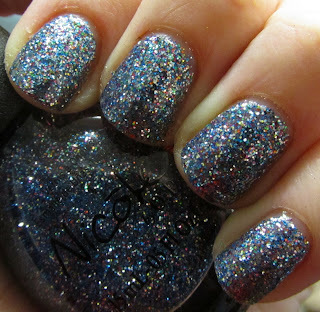 I was really pleased with this small collection of glitters. 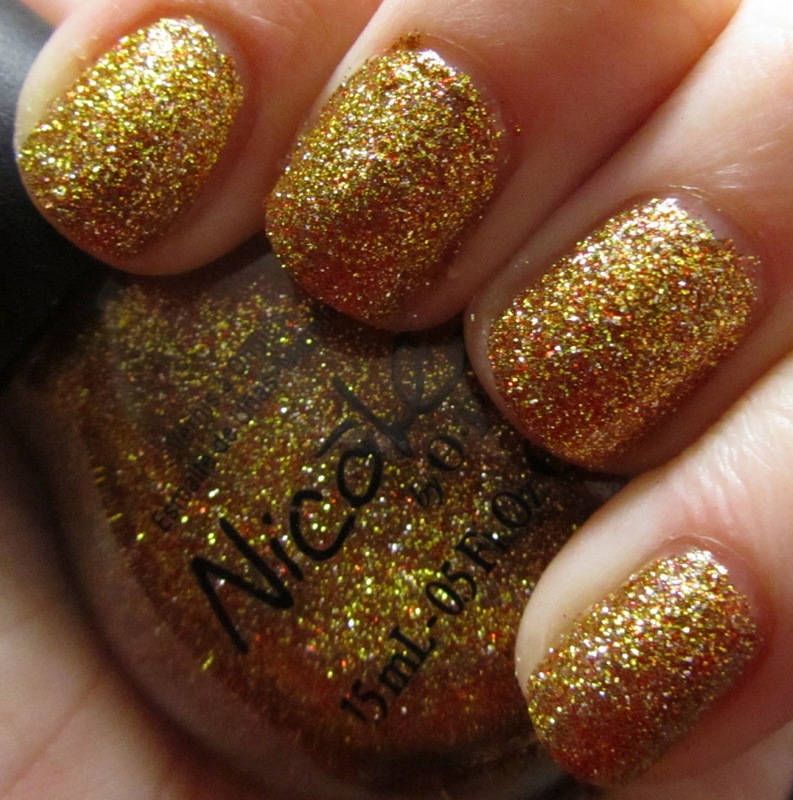 All four colors are absolutely gorgeous, and the formulas were very nice for glitters. I was a little sad that Snow-man turned out to be a dupe of last year's Simmer and Shimmer, but other than that there was nothing disappointing about this collection! Hard to pick a favorite or clear winner here, as all four of them are stunning. I highly recommend grabbing these if you haven't yet, before they are gone! Also, check back later this week for a chance to win this collection! DISCLOSURE: The polishes featured in this post was provided to Polishology by OPI for review purposes. This is an honest and independent review and was in no way influenced by the company. Love the dog photo! 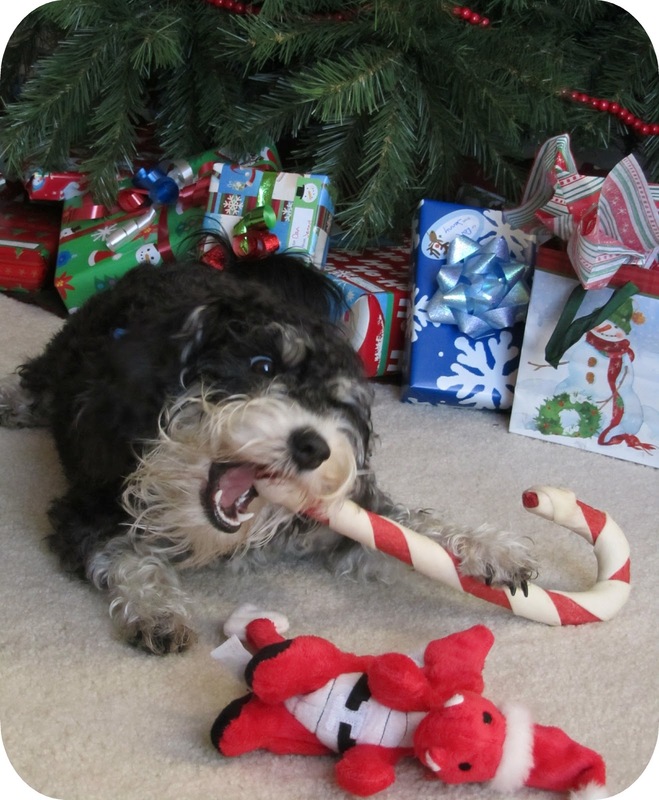 She is really attacking that candy cane! Also, I love these glitters - they look great on you. I only picked up Glitter in My Stocking and it is one of my favorite holiday polish releases. Wintery Christmas - Free Hand Style! How many times can I Break til I Shatter?